Use the "Color & Marketing" pull down menu at the top of this page or link to the articles below. What is a color trend? Where do they come from? Does a color trend really matter in the 21st Century? Explore some answers at Color Trends. 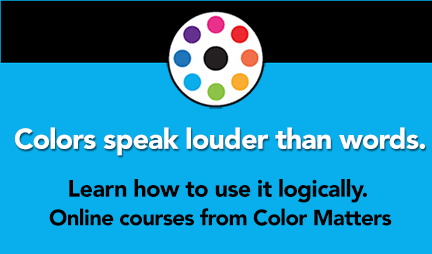 Real facts about how color increases brand recognition, helps memory, and more. Happy yellow and sad blue! Explore the meanings of colors. How color is used functionally in the world today. Choosing the next "hot color"